Last week, I settled a highly contentious landlord/tenant dispute. Neither side like each other, and both seemed glad to have the matter over. I represented the landlord, and was able to negotiate a move-out of the tenants in exchange for a release of liability and a “cash for keys” settlement. In all, I’m pleased with the result: my clients got what they wanted at considerably less cost that a full trial would have required. During the final inspection, the tenant thanked me for my help, and told me that she felt I moved the case along better than my clients’ prior attorney (who the tenant believed had been unreasonable). I appreciated the tenant’s kind words. In my opinion, the outcome of this successful case came, in large part, from my experience in representing both landlords and tenants: something I urge people to consider when selecting a landlord/tenant lawyer. Why hire someone who represents both landlords and tenants? A attorney with experience representing both types of these clients understands where each side is coming from. In this case I settled, I knew what options the tenant had in pursuing their claims, and the time/expense this would require for my client, the landlord. This helped me to propose and agree to a favorable settlement for my clients. In my experience, I have seen attorneys make poor decisions from not understanding both parties in the case; mistakes that can be costly in the long run. I often get asked: can you really represent both landlords and tenants? The answer is: of course. I’ve had clients of both type with strong claims/defenses who needed legal help. I don’t believe in the stereotype of the “bad landlord” and the “innocent tenant”; I’ve seen parties of each type who were in need of assistance. Looking for a landlord/tenant attorney with such experience? Contact me for a consultation. Upcoming Massachusetts Appeal: Is a Violation of the Security Deposit Law a Defense Against Eviction? The Supreme Judicial Court will be hearing an appeal on a matter of great importance for Massachusetts landlord/tenant law: whether the failure to comply with the state’s security deposit law is a defense to an eviction (“summary process”). The case is Meikle v. Nurse (SJC-11859). A security deposit is a sum of money (not to exceed one month’s rent) that a landlord is allowed to collect from a tenant for any damages that might occur in the rental property. Massachusetts has a incredibly detailed law about the procedures landlords must use to hold these deposits. A landlord’s failure to comply with some of these requirements can result in huge damages for tenants. For this reason, many landlord/tenant attorneys (myself included) recommend that landlords do not take security deposits: the risks just aren’t worth it. There is no dispute that a tenant can raise a violation of the security deposit law as a claim (and seek monetary damages), but Meikle will determine whether such a violation can keep a landlord from evicting a tenant. The decision will require the Supreme Judicial Court to take a close look at the landlord/tenant laws. Regardless of the Court’s decision, the security deposit law is a pro-tenant law that is an important source of leverage for tenants in negotiating eviction cases. Consequently, it is also a source of trouble for many landlords. Tenants and landords should consult an experienced attorney for help in navigating this tricky law. A party who receives an unfavorable decision in a Massachusetts eviction case has the option of appealing. In an appeal, the party asks the appellate court to review the decisions made by the trial court and decide if they were done correctly. An appellate court will not decide the case all over again, but instead will review the issues of law made by the trial judge. There are many, many things to consider and discuss in deciding whether to appeal, but here’s the most important thing to remember: a party who wants to appeal must timely file a notice of appeal. A notice of appeal is a simple form that tells the court and other side that you wish to appeal. A party can obtain a notice of appeal form from the clerk’s office, who can also answer questions on how to fill it out. Massachusetts eviction (“summary process”) law requires a party to file this notice of appeal within ten days of the court’s decision. The failure to timely file this notice of appeal can be deadly for bringing an appeal: Massachusetts courts have stated that the failure to file this notice of appeal within this ten-day deadline prevents a party from appealing (regardless of whether the party had a good reason for not timely filing this notice of appeal). With that said, be sure to file a notice of appeal if you intend to appeal your case, or have any thought of doing so. An appeal can always be dismissed, but the failure to bring a notice of appeal is an error that is often “unforgivable” by trial courts. If you are considering appealing your eviction case, contact me for a consultation. Appeals require an enormous amount of work and it is best to have an experienced attorney on your side. Recommended Resource: Rental Crisis in the U.S. I was recently forwarded the research graphic below detailing the current state of renting in the United States today. There is no doubt that housing will continue to be a major domestic issue for our country for years to come and this graphic does a great job of detailing these concerns. Anyone facing a rental issue should consider consulting a landlord/tenant attorney for a consultation. 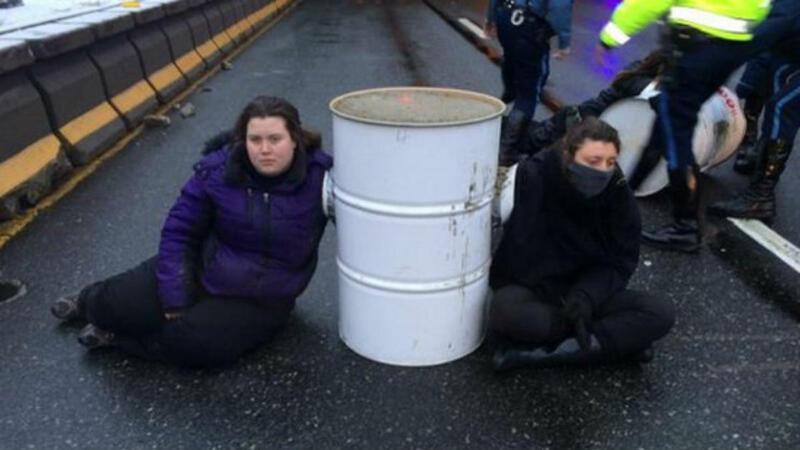 Remember the I-93 protest that happened earlier this year? I sure do. I was on the way to court and, thanks to the protesters, came minutes away from missing my hearing. Thousands of Massachusetts residents were impacted by this outrageous protest, including a man in an ambulance on the way to the hospital. No one–myself especially–denies the right of others to express their views, but the middle of I-93 is not the place to do this. That’s why I was shocked and outraged that Mayor Curtatone of Somerville recently advocated that the Middlesex County District Attorney not pursue charges against the protesters. As a local business owner in Somerville and someone who provides legal services across Massachusetts, I don’t think Mayor Curtatone really understands how protesting in the middle of I-93 hurts innocent people. On the day of the protest, I was headed to Wrentham to assist a disabled, single mother facing foreclosure. This “protest” didn’t raise awareness of any cause; it merely put lives at risk and prevented people like myself from helping others in need. Like a stereotypical politician, Mayor Curtatone is looking for a quick news headline at the expense of common sense and what is really best for his constituents in the long run. Below is a copy of the letter I sent to Mayor Curtatone regarding his support for the I-93 protesters. I encourage others who feel similarly to do the same. And Somerville residents: make your voices known at the next mayoral election. I recently read your statement encouraging the Middlesex District Attorney to drop charges against the I-93 protestors. 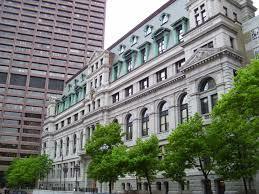 I am a Somerville attorney who has practiced in this area for the last two years. I wanted to share a story with you about my experience in dealing with the I-93 protestors last year. On the day of the protest, I was traveling to Wrentham for a court appearance. I was not headed to represent a major corporation or a rich client that morning; I was traveling to assist a disabled, single mother facing a foreclosure. Thanks to the protestors, I came minutes from missing the hearing and not being able to assist my client. I consider myself one of the “lucky” people stuck in traffic that day; I was not the injured man in an ambulance who the protestors delayed getting to the hospital. With that said, I find your statement in support of the protestors to be deeply insulting. People have every right to express their political views, but not in a way that disrupts the lives, safety, and welfare of others. That’s why I am sending you this letter, in lieu of standing in front of your car and preventing you from getting to work. Your quotation of Dr. Martin Luther King Jr. is similarly disingenuous. Dr. King advocated peaceful public discourse; he would have never approved a protest that put the public’s safety at risk. I suggest you take a cue from Calvin Coolidge’s tenure as Governor of Massachusetts when, during the 1919 Boston police strike, stated “there is no right to strike against the public safety by anyone, anywhere, any time.” Coolidge rejected what might have been popular for what was right: a lesson you should considering following. I hope you can make a donation. Thanks for your support! In any civil action in any court of the commonwealth in which one or more of the parties at the time of commencement of the proceeding is sixty-five years of age or older or during the pendency of the proceeding attains the age of sixty-five, the court shall, upon motion of such person, advance the proceeding for speedy trial so that it may be heard and determined with as little delay as possible. Law and Order fans know that defendants in a criminal case have a right to a speedy trial from the U.S. Constitution, but Massachusetts similarly allows this for civil cases (I’m not aware of any other states that do the same). The law appears to apply for any civil lawsuit, but it can be of particular importance in Massachusetts landlord/tenant cases, particularly eviction (“summary process”) cases. While Massachusetts eviction cases are intended to go to trial in a matter of weeks after filing, a busy court docket can keep cases from getting to trial right away. For those parties over 65, Massachusetts’s right to a speedy trial can be used to try to “bump” an eviction to the top of the trial list. This requires a party to make a motion to the court. Parties who are unfamiliar with pre-trial litigation should consult an attorney for advice on how to do this. Massachusetts tenants in eviction (“summary process”) cases have the option of suing the landlord who is trying to evict them, in an action known as a counterclaim. A counterclaim, simply put, is a lawsuit brought against the party who first filed the lawsuit. Counterclaims are permitted in eviction cases brought for a tenant’s failure to pay rent or a no-fault eviction. Counterclaims are not permitted for cause evictions (ex. violating the terms of a lease). Counterclaims are allowed for “any claim against the plaintiff relating to or arising out of such property, rental, tenancy, or occupancy for breach of warranty, for a breach of any material provision of the rental agreement, or for a violation of any other law.” Examples of counterclaims by tenants include retaliation, violation of the Consumer Protection Law, and allegations that the rental property was not habitable. An important thing about counterclaims in summary process is that they are not mandatory. A tenant can choose to file a counterclaim, but does not lose that claim if he or she does not file it. This is unlike most other civil cases, where the party can lose that claim if they do not raise it in a prior case. Should you raise counterclaims in summary process? Counterclaims can sometimes be good leverage for a tenant trying to negotiate a settlement, and it can save time for the tenant by having these issues determined in one single lawsuit. On the other hand, eviction cases in Massachusetts move at a fast pace, with limited discovery (the ability to learn about the other’s side position through written questions and document requests). Some claims are too complex for summary process, and are better pursued in a separate court case (a personal injury claim, for example, is probably too complex for summary process). Tenants should also bear in mind that if they do pursue a counterclaim and are unsuccessful, they may not get a chance to try the claim again. Consult with an attorney if you find yourself in an eviction and need help in determining whether to raise counterclaims in your case. September 1st is one of the biggest moving days in Boston. With more than 100 colleges in the Boston region, there will be plenty of college students moving in and out of apartment in the city (along with other residents whose leases will be expiring). Many of these movers will be using moving trucks, often through rental services such as U-Haul and Penske. The City of Boston and many surrounding cities require parking permits for these trucks; something many movers do not know until it is too late. Fortunately, this year, the City of Boston has made it easier for movers to obtain these permits by allowing them to apply online, instead of in person. Take pictures of your rental unit before moving in, as proof in case a dispute ever arises over claims of damagew or poor maintenance. If you gave your landlord a security deposit and/or last month’s rent, be sure to obtain a receipt from your landlord (if you gave these payments in cash, and not by check). Consider obtaining renters insurance for your new place. It is often inexpensive and covers many potential damages that might arise out of your control. Drink plenty of water . . . summer is still here! Best of luck to everyone moving this September. If you have problems with your new apartment, or are in need of landlord/tenant advice, contact me for a consultation. As a landlord/tenant attorney, I have learned that sometimes the simplest advice is the best. It is common, especially with contentious landlord/tenant relationships, for allegations to surface regarding the failure of one party to properly maintain the property. When one of these situations arises, the old adage that “a picture is worth a thousand words” has much meaning. This advice comes into play when dealing with allegations by both landlords and tenants alike regarding poor conditions in rental property. In law, it is not what you know; it is what you can prove. An allegation that a tenant has damaged the rental property, or a claim that a landlord has not properly fixed something in the unit, means little if you cannot prove it. One’s testimony on these matters is helpful, but the best proof is photographic evidence. If you find yourself in such a scenario, do yourself a favor and take good pictures of what you want the court to see. To leave no doubt that the picture was taken at a certain date, include a copy of the daily newspaper in the pictures. Everyone today has a smartphone and/or tablet, and there is really no excuse for not documenting this evidence. And you do not need to wait until a problem has arisen to do this; both landlords and tenants should take pictures of rental property before and after moving into the unit. If problems arise, these photos can make or break your case. If you ever do need to show these photos to the court, remember that the court will generally not look at these pictures on your phone and/or tablet. You will need hard copies of these photos, so print these pictures in advance of your court date. Are you in such a scenario? Contact me for a consultation.